Here is an event you don’t want to miss! 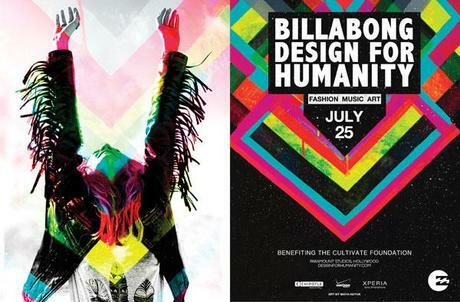 Billabong’s Design for Humanity, a fashion, music, art event that is happening July 25, at Paramount Studios in Hollywood. Design for Humanity benefits the Cultivate Foundation, an effort to create a more sustainable and healthful food supply, and to raise awareness concerning food issues. What better way to support a good cause than by rocking out, watching the hottest summer fashion??? Tickets go on sale to the public June 14th! To be in the know, sign up here. Chocolate and Coffee Lovers Unite!